British star of TV & Film, Benedict Cumberbatch, recently managed to assure his ever growing fan-base that all posh people have a unique capacity to be abhorrently racist, should one find ones-self sufficiently out of ones depth. Benedict Cumberbatch was being interviewed on American TV network PBS when he decided to wind back the clock to the 1800s by unleashing a torrent of putrid racism. 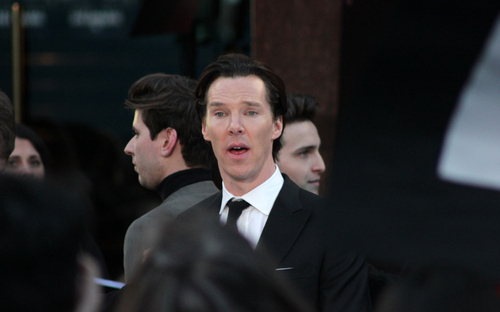 “I am not surprised at all by Benedict’s outburst.” Said posh person scientist, Claire Windsortwist. Benedict Cumberbatch was also only recently voted ‘most likely to be racist’ in an online poll by OK! magazine. Users selected the histrionic ‘poshness’ of his name as a clear sign that he would go on to do great racism. But whilst his ignorance has clearly already been launched into the public domain, there are a number of loyal Cumberbatch fans who have sprung to his defense. “I can categorically assure you that Benny is not a racist. Even though some people might think only about this one instance where he has said something racist.” Commented Charles Bottompenny.